Karina's Kreations: Painted Petals Coffee Talk card! Painted Petals Coffee Talk card! We made this cute card at our Coffee Talk meeting yesterday. 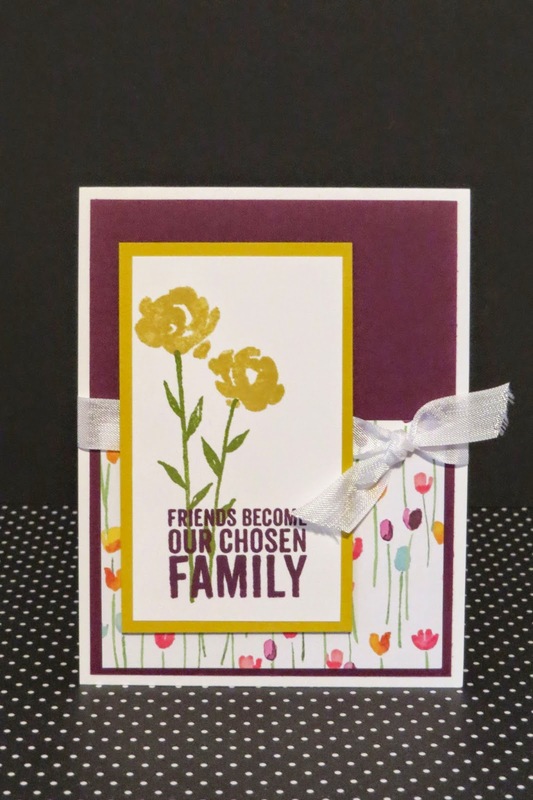 The card was designed by Ronda Wade and uses the Painted Petals stamp set #137146, Painted Blooms Designer Series Paper #137784 and Whisper White Seam Binding Ribbon #134573. I'll post the Coffee Talk swaps tomorrow.